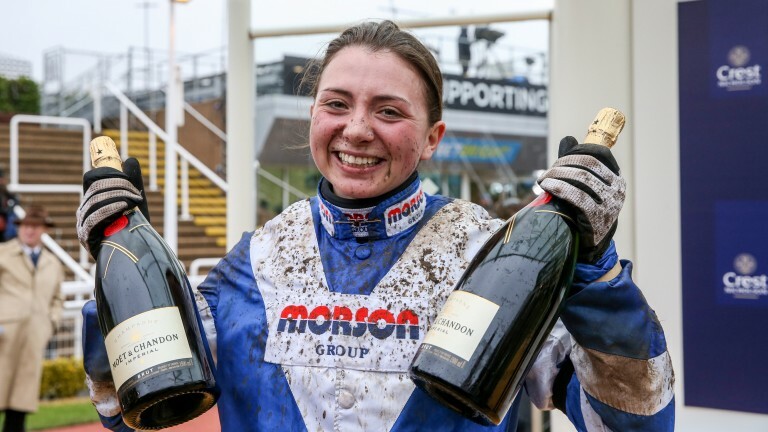 Racing's crowds are getting younger according to a recent report, and the millennials and the 40 per cent of the audience who are female had two of their own to cheer for on Saturday when Lizzie Kelly and Bryony Frost showed gender is no longer an agenda at Cheltenham. 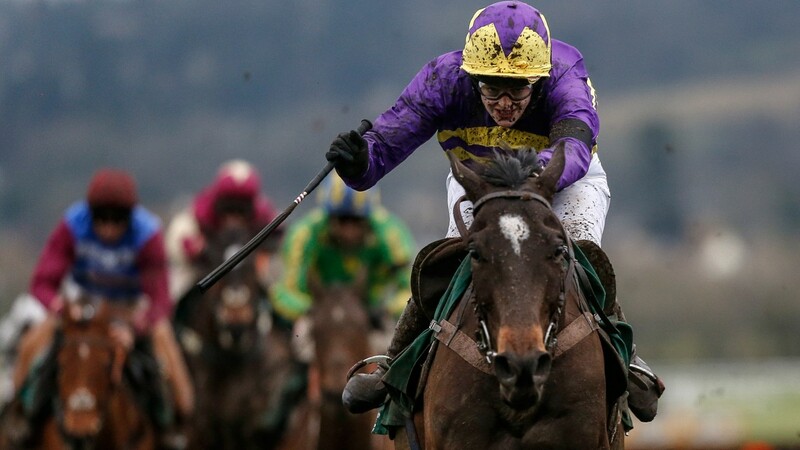 On another banner day for women jockeys, Kelly, the first female to ride a Grade 1 winner over jumps, added a Grade 2 success to her haul when she steered Agrapart to victory in the £60,000 galliardhomes.com Cleeve Hurdle. Her triumph arrived an hour and a half after Frost, who had emulated Kelly with a Grade 1 win of her own on Boxing Day, continued her extraordinary run of Saturday winners with success on Frodon in the Grade 3 £75,000 handicap chase. "It's been a good day for the girls," said Kelly. "Bryony is a great rider – I used to point-to-point with her. It's wonderful to have two girls from the same area doing well. We've banged on for ages about whether girls can do it and today we've proved we can." In the Cheltenham weighing room on Saturday, Kelly, Frost and Rachael Blackmore made up ten per cent of the jockeys riding. With three of her best rides in action, Kelly was looking forward to one of her biggest days on the track. Frost had just the one, and neither disappointed. Kelly finished fourth on favourite Coo Star Sivola behind Frost on Frodon and had to pull up her Grade 1-winning partner Tea For Two in the Cotswold Chase, but in Agrapart she had an ally with the finish to outrun Wholestone up the hill in the Cleeve. "I'm delighted it has come on that horse," Kelly said. "He has shaped my career, winning the Betfair and then the Relkeel Hurdle last year. He is a such a diamond as well, a real yard favourite. He tries harder than any horse should. "He doesn't really have a turn of foot – he is like a wind-up car. Once you are rolling you can't say stop and expect him to go again. He's been bumped and barged a bit more than he ever has done today and I think he quite enjoyed it. "It was a bit of deja vu, me and Daryl [Jacob] going up that hill again. I thought, 'I've managed it once, I can do it again'." Frost had been off work for a week suffering a bout of flu and she owed her return for her first ride in seven days to Dad Jimmy's mashy bananas with ice cream and golden syrup. Her voice was still a bit croaky but her tactics were flawless as she steered topweight Frodon round the inside before the pair pulled right away to win by 17 lengths. "What a privilege it is to ride a horse that comes up the hill like that," said Frost. "He just gave me a dream run. "I am coughing and I was growling at him. I've had a bit of time off work which is bizarre for me and I don't quite like it – I am not a very good patient. I went home for a day and Dad did mashy bananas and ice cream and golden syrup. That got me back on the road. I was never going to miss today." Frost is showing the way not just on the track but off it and through her willingness to engage with the public she is carrying out the vital task of growing the sport's fanbase single-handedly. "The people coming back in were just awesome," she said. "You are the little girl from Devon and now they are all cheering your name and for them to be on board it feels like they are riding the horses with you and getting excited for the success. And even when you're beat they are still cheering you on. That sort of thing is so cool. I love giving time to everybody."